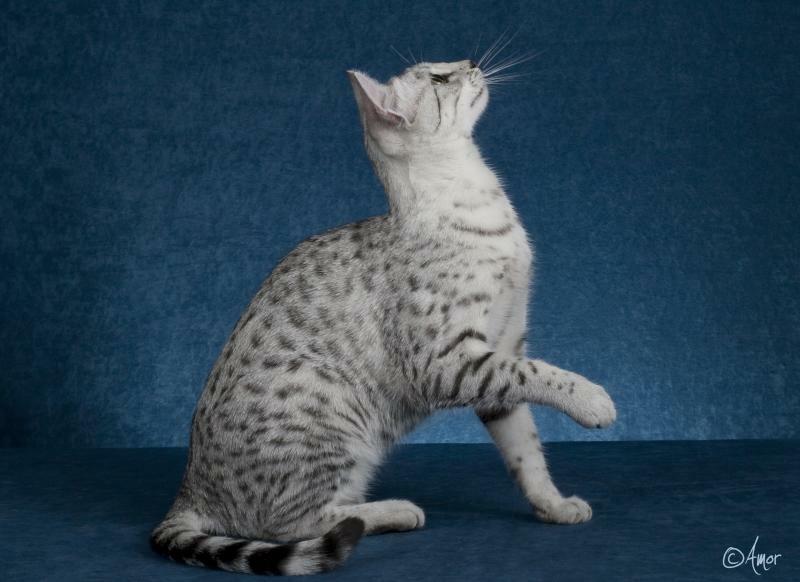 Magic achieved the IW title in TICA, which means she is an international winner and the 20th best shorthair internationally. 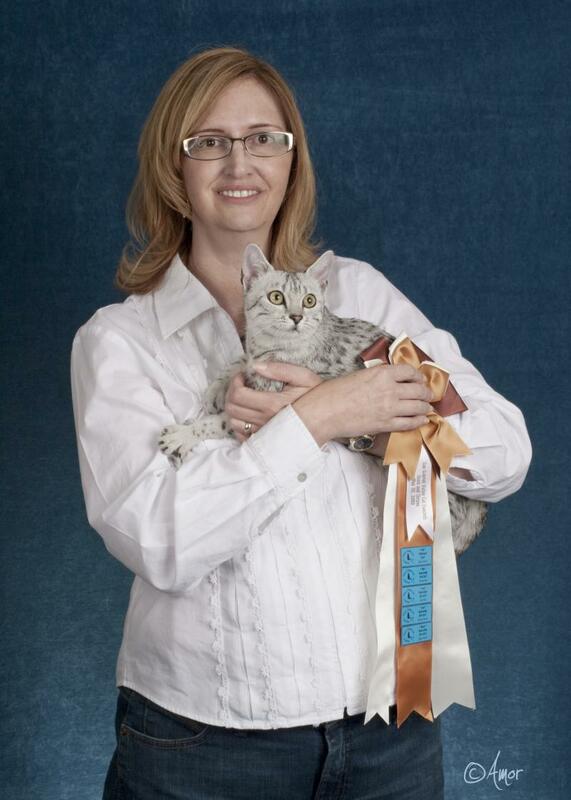 She is the first Egyptian Mau to achieve this honor for all breed. I am of course very proud of her. She is a female and females are often at a disadvantage in showing because they are physically not as big as boys. There are many defining moments in a show season. Some which are not always cat related. Monterey California- Saturday 2 am. Arrive at Hotel. Honey, where's my suit case? My husband had left my suitcase at home. Saturday 5pm. We visited Victoria's Secret and Bath and Body Works as a consolation. Phoenix AZ- After a wonderful dinner with friends...Honey, where's our truck? Surely, you forgot where you parked the truck? Honey, there is your dry cleaning receipt on the ground! Stolen. Thank Godness for LoJack. I am thankful for the wonderful friends that I made over the course of the 2009-2010 show year and for having a cat that endeared herself to me. Yes, the 2009-2010 show year was magical. The stars lined up and a kitten was born that was special enough to show all year. Her name is Silver Magic (her royal highness of course) and in my mind she lived up to her name in every respect. Magic is a true show cat...look at me, love me and adore me, me, me. The combination of beauty and personality are not the easiest to achieve in any breed. Magic performs her Happy Mau Dance and speaks to me to let me know it is time to give her attention. After her well deserved fame and star on the TICA walk of fame, Magic tries to avoid the papparazzi by covering her face with her paw so the cameras can not capture her facial expression. She also cloaks herself with her furry baby blanket. Life is tough being a star!